Premiere Chiropractic & Sports Medicine Redondo Beach, was established in 1995, focusing on chiropractic and orthopedic care along with sports medicine, with a strong reputation within the medical and athletic community. 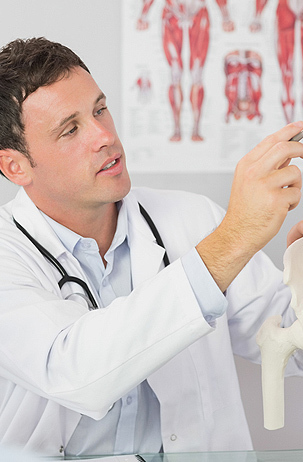 The objective of the clinic is the proper diagnosis and treatment of acute and chronic pain and injuries. We also specialize in wellness and maintenance care. Our approach is to treat the source of the problem, not to solely treat your pain. Our hollistic approach to your pain, will allow our specialists to improve your health. 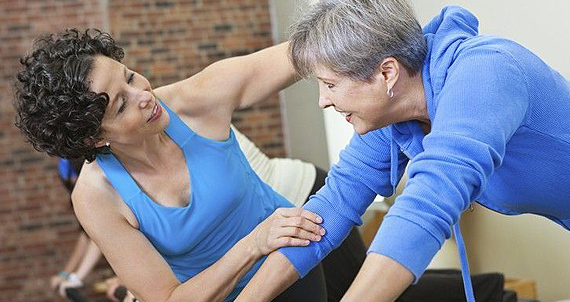 Our Rehabilitation team includes Licensed Physical Therapists, Occupational Therapists and Certified Massage Therapists. Premiere Chiropractic & Sports Medicine brings a variety of medical specialties together to provide the best in conservative and surgical treatment for muscle, nerve and joint problems, including sports-related or workplace injuries. Whether you come to us after an accident, injury, illness or surgery, our role in the recovery process is to help you regain strength and relieve pain so you can return to your daily and recreational activities as quickly as possible. The Premiere Clinic offers a complete range of services designed to help women maintain optimal health at every stage of life. A select group of Female Physical therapist, Massage therapists and Acupuncturists have received specialized training to treat women’s health issues. Premiere’s therapists and Doctors are equipped with expertise in both preventive and restorative services for women. In many cases, such as lower back pain, chiropractic care may be the primary method of treatment. When other medical conditions exist, chiropractic care may complement or support medical treatment by relieving the musculoskeletal aspects associated with the condition. The most common therapeutic procedure performed by doctors of chiropractic is known as “spinal manipulation,” also called “chiropractic adjustment.” The purpose of manipulation is to restore joint mobility by manually applying a controlled force into joints that have become hypomobile – or restricted in their movement – as a result of a tissue injury. Tissue injury can be caused by a single traumatic event, such as improper lifting of a heavy object, or through repetitive stresses, such as sitting in an awkward position with poor spinal posture for an extended period of time. In either case, injured tissues undergo physical and chemical changes that can cause inflammation, pain, and diminished function for the sufferer. Manipulation, or adjustment of the affected joint and tissues, restores mobility, thereby alleviating pain and muscle tightness, and allowing tissues to heal. Doctors of Chiropractic may assess patients through clinical examination, laboratory testing, diagnostic imaging and other diagnostic interventions to determine when chiropractic treatment is appropriate or when it is not appropriate. Chiropractors will readily refer patients to the appropriate health care provider when chiropractic care is not suitable for the patient’s condition, or the condition warrants co-management in conjunction with other members of the health care team. Dr. Diba works with some of South Bay’s best Orthopaedic Surgeons, neurologists and Other Medical Specialists, and patients referrals are made when those interventions are indicated. Premiere Chiropractic was established in 2010 with the objective of proper diagnosis and treatment of acute and chronic pain and injuries, health maintenance and wellness. We strive to treat each and every patient as if you were one of our own family members. Our clinic brings a variety of medical specialties together to provide the best in conservative and surgical treatment for muscle, joint and nerve issues. The multi-specialty approach will yield to a more permanent, effective and faster recovery from your injury or pain. Our specialty is to get to the root cause of your pain and help you alleviate it. That is why, we are the best choice for chiropractic care in Redondo Beach,and also–Manhattan Beach Chiropractor, Torrance Chiropractor, El Segundo Chiropractor, Hermosa Beach Chiropractor or Hawthorne Chiropractor.